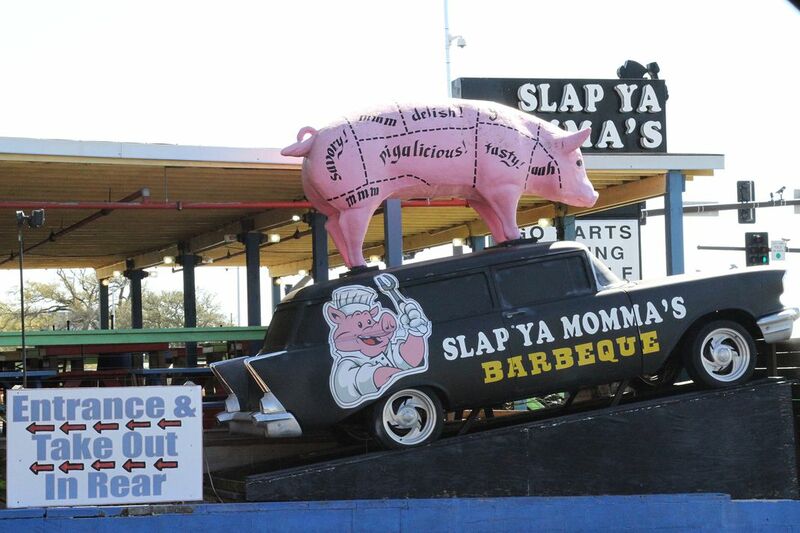 Southern BBQ "so good it'll make you slap ya momma!" What says the American South more than BBQ and pork? I loved the image and the adjacent sign that says, "entrance and take-out in rear," behind the larger than life hog mannequin and car.